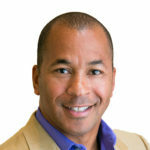 Paradigm Technology, a boutique consulting company and strategic solutions partner, announced today that Samuel Engram, the company’s Executive Vice President of Services, has been named one of three finalists for the Phoenix Business Journal’s 2017 AZ Top Tech Exec Awards in the Rising Star category. The AZ Top Tech Exec Awards is the Valley’s premier technology celebration honoring the “unsung heroes” who make it possible for their business to do business from behind the scenes. The Rising Star category recognizes a young star for innovation, advancement, and implementation of technology. In addition, awards will honor Valley CEOs, CIOs, Technology Leaders and Community Heroes. Engram joined Paradigm just a year ago and has made a significant impact on how the company delivers strategic services and value to partners and clients. He has also taken initiative in building Paradigm’s enhanced programs focused on professional development, training, coaching and mentoring. Winners of the Phoenix Business Journal’s 2017 AZ Top Tech Exec Awards will be selected during a reception on Thursday, May 11 at the Phoenix Art Museum.